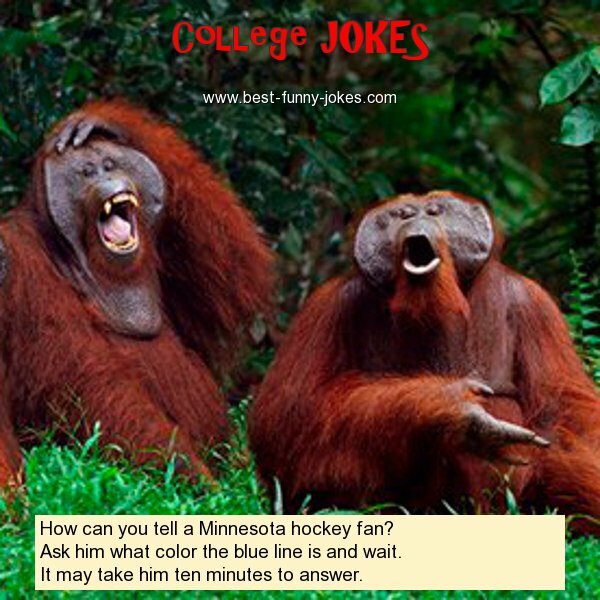 How can you tell a Minnesota hockey fan? Ask him what color the blue line is and wait. It may take him ten minutes to answer.